Chris Simuro joined Fabric Sources International, LLC in 2011 as the company’s President. During his tenure as President, the company has significantly grown its product offerings, the size of its operations, and customer base. 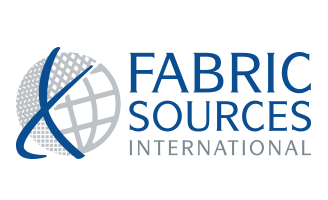 Chris Simuro joined Fabric Sources International, LLC in 2011 as the company’s President. During his tenure as President, the company has significantly grown its product offerings, the size of its operations, and customer base. By successfully launching the creation of the lamination and coating division of the company in 2013, the company now provides a broad array of product offerings to its customers. The corporate culture developed over the past few years is designed to empower our team members to listen to their customers, engineer innovative solutions, and deliver those solutions timely and consistently. Prior to joining Fabric Sources International, LLC, Chris served in leadership roles within the financial and professional service industries. He currently serves in several different leadership roles within the community focused on business, community, and spiritual development. Chris graduated with an undergraduate degree in Business Administration from California State University-Sacramento, and furthered his education with a graduate degree from the Graduate School of Banking at Louisiana State University. He later accepted a position to serve as a faculty member at the Graduate School of Banking. He is also a graduate of the Synovus Leadership Institute at Emory University. Currently, Chris and his wife Melissa, along with their three sons, reside in the Dalton, GA area. They both enjoy being a part of their boys’ lives, whether it be related to school, sport, or church activities. Servant leadership and spiritual stewardship are the guiding principles in their lives. Matt Williams is Fabric Sources International, LLC’s Chief Operating Officer and leads all company-wide operations and sales teams. Matt joined the company in 2015 and was tasked with leading the company’s fabric division. During his tenure, the fabric division successfully delivered several new innovative products across multiple market segments. In addition to the fabric division success, he partnered with the lamination and coating division to create innovative products that have delivered customer-critical solutions. Prior to joining Fabric Sources International, LLC, Matt served in multiple progressive leadership roles at Shaw Industries, Inc. The most recent was leading the efforts to automate and retrofit Shaw’s engineered hardwood facility in Clinton, South Carolina. Matt is a Dalton, GA native and a graduate of Southern Polytechnic State University in Marietta, Georgia, where he received his Bachelor of Science in Industrial Engineering. Outside of work, Matt enjoys spending time with his wife Cristinia and their three children. He is actively involved in their extra-curricular activities, and he enjoys both coaching and cheering them on in every aspect of life. Matt’s faith in Christ is what guides him both personally and professionally, and he always strives to ensure that he leads with a servant’s heart. Hank Welch is Fabric Sources International, LLC’s Director of Product Development. Hank spearheads the creation of both new products and process technology for the fabric, lamination and coating business divisions. 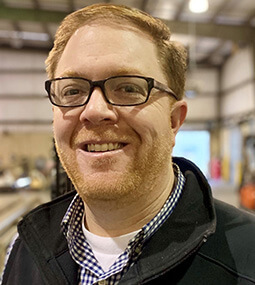 Hank joined the company in 2013 and was instrumental in leading efforts to turn the lamination and coating division from a concept to a reality. 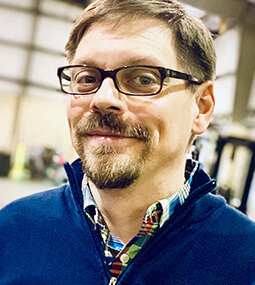 Hank lead the team that designed, built, and commissioned the lamination line, as well as directed the efforts to innovate, customize, and commercialize products that delivered customer-critical solutions. 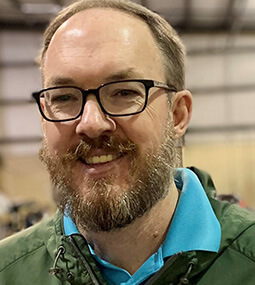 Prior to joining Fabric Sources International, LLC, Hank served in various leadership roles during his 18 years with Tandus, his final role being Technical and Quality Director for Tandus’ China operation. Hank holds a Bachelor’s of Science in Marketing and Real Estate from the University of West Georgia. During his collegiate career, Hank was a member of the University of West Georgia’s golf team and the Chi Phi Fraternity. Hank and his wife Amanda reside in Canton, Georgia with their three girls. Hank has a passion for serving at Woodstock City Church where he is active in leading mission groups and serving as a small group leader in the youth ministry. Hank and his family also enjoy traveling, playing golf, and cheering on the Dawgs during football season. 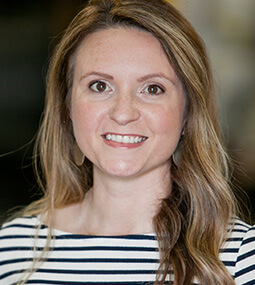 Abbi Smith is the Human Resources & Benefits Administrator for Fabric Sources International, LLC, where she is responsible for all HR functions, as well as payroll and employee benefits for the enterprise. Abbi joined the company in 2017 and was tasked with creating an official Human Resources Department for the ever-growing and evolving company. Abbi enjoys working collaboratively with other team members, always seeking to identify opportunities that will enhance the employee experience. Prior to joining Fabric Sources International, LLC, Abbi worked in the healthcare insurance industry where she served in multiple administrative and HR roles, including Wellness Coordinator. It was in this role that her interest for Human Resources really took off. After taking some time off to focus on family, the opportunity with Fabric Sources International, LLC presented itself, and it was a natural fit. Abbi holds a bachelor’s degree from Kennesaw State University in Exercise & Health Science. She is a native of North Georgia, and currently lives in Tunnel Hill with her husband, Rhett, and two children. Outside of work, Abbi is busy keeping up with her two small children! Faith and family play a huge role in her life, and she is grateful to work for a company that mirrors her values! Roger holds the position of Controller for Fabric Sources International, LLC. Throughout his 25+ year career, he has specialized in financial accounting and reporting. Roger’s core competencies include SEC and financial reporting, management reporting, budgeting, internal controls, procedures documentation, variance analysis, and treasury management. Roger holds a Bachelor of Business Administration in Accounting from the University of Georgia, and is a licensed Certified Public Accountant (CPA) in Georgia. He is also a member of the American Institute of Certified Public Accountants and the Georgia Society of Certified Public Accountants. 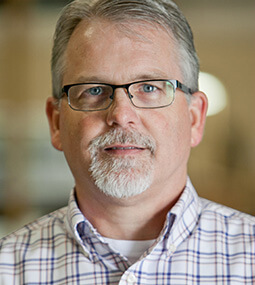 Prior to his work at Fabric Sources International, Roger served as Director of Accounting for The Dixie Group, Inc., a publicly-traded carpet and rug manufacturer, since 2015, and previously served as Corporate Accounting Manager since 2000. Previously, Roger held various other Controller and accounting positions with other manufacturing companies.